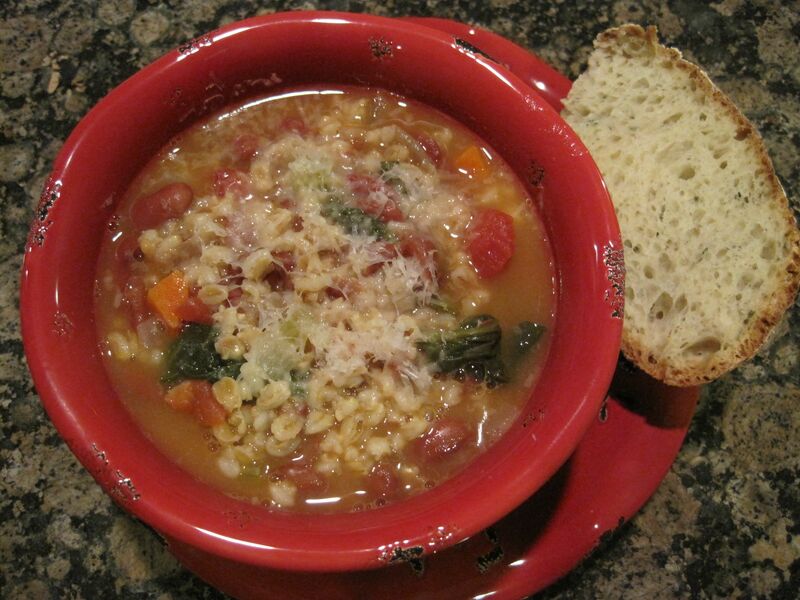 I made this soup after realizing I had cranberry beans and a parmesan rind in the freezer, tomatoes on the counter, fresh basil growing in a pot on the back deck, and not a lot of time to make dinner. And it was good! Substitute the beans with your favorite (cannellini would be good), if you don’t happen to have cooked cranberry beans lurking in your freezer, too. 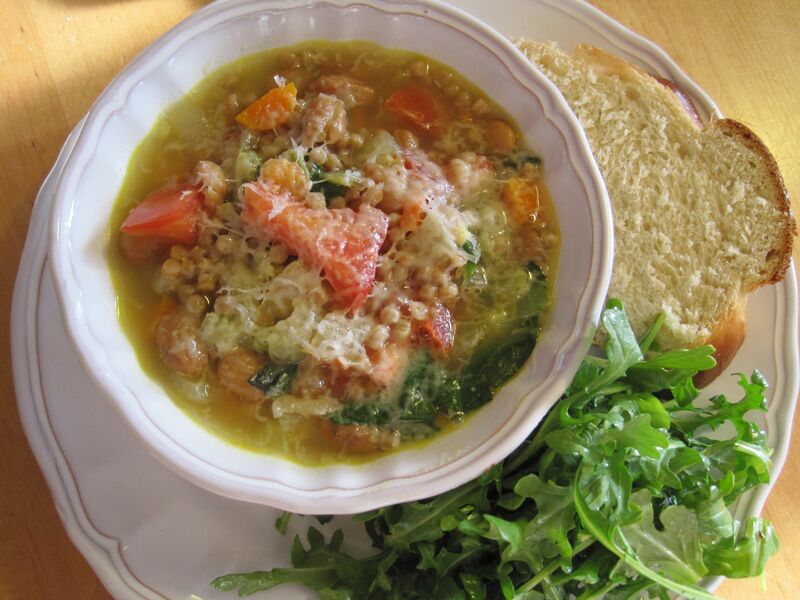 Parmesan rinds are a good way to add “umami” to a soup, especially a meatless one. I served it with Challah, and arugula tossed with extra-virgin olive oil, fresh lemon juice, sea salt and freshly ground black pepper. Heat oil in a large soup pot over medium heat. 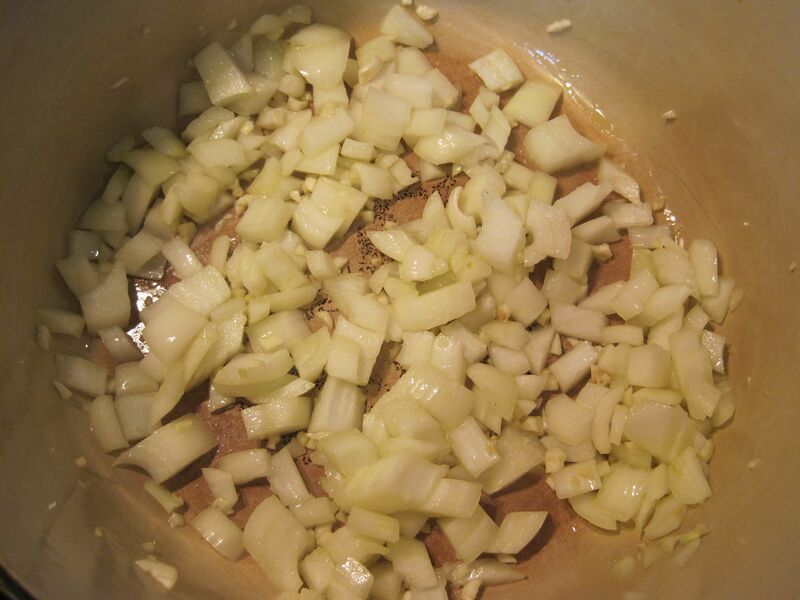 Add onions and garlic and cook, stirring occasionally, for 5 minutes. 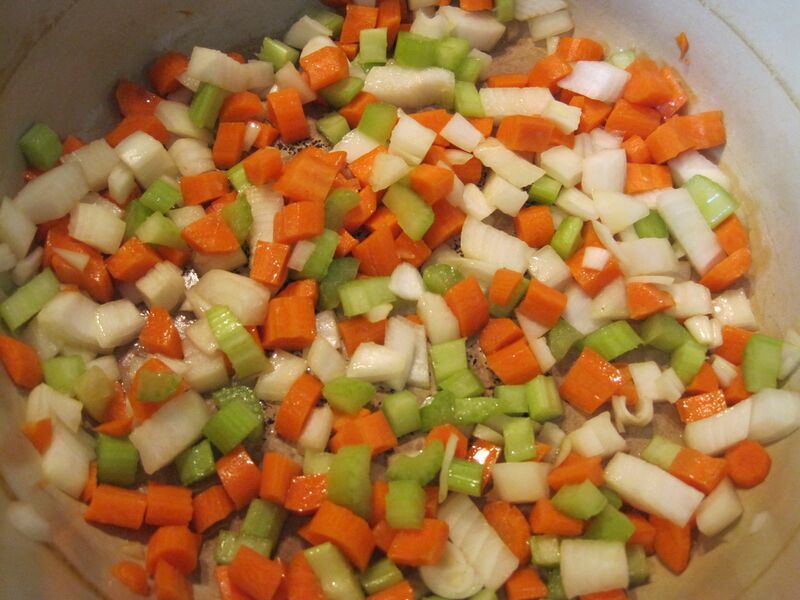 Add celery and carrots and continue cooking for another 5 minutes. Stir in Israeli couscous and cook, stirring, for 2 minutes. 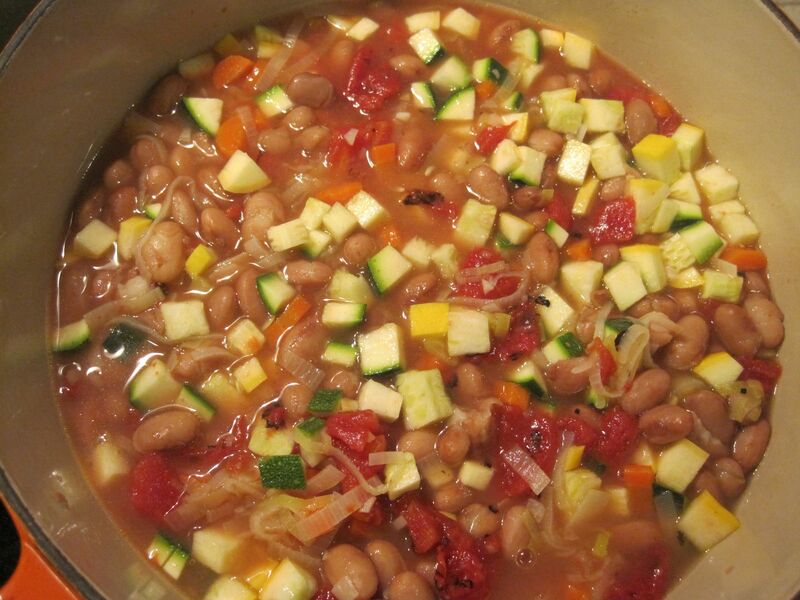 Add beans, broth and parmesan rind; bring soup to a boil, lower heat to simmer and cook for 20 minutes, stirring occasionally. 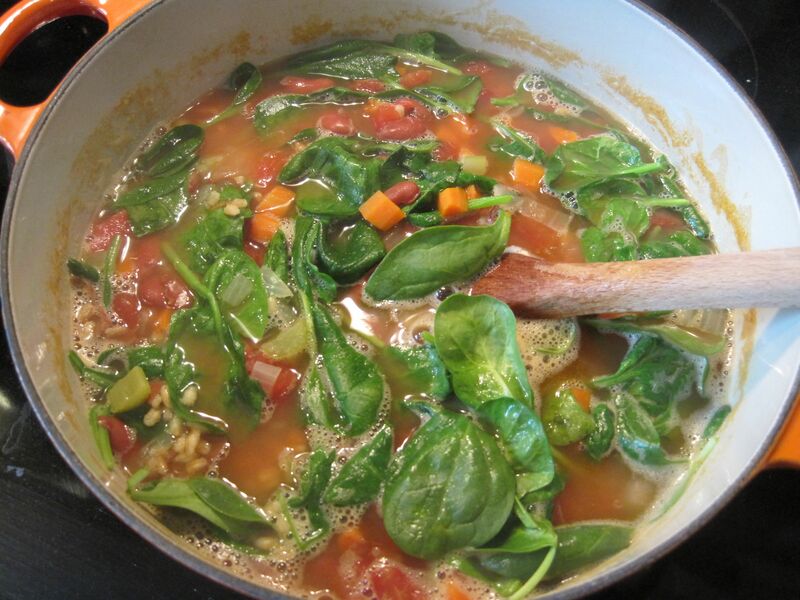 Stir in tomatoes, basil and pepper. 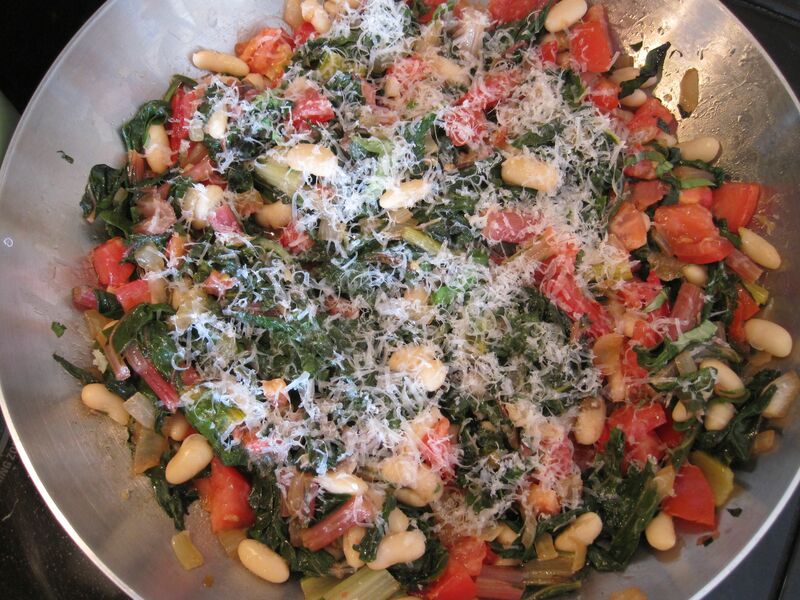 Serve with freshly grated cheese on top. 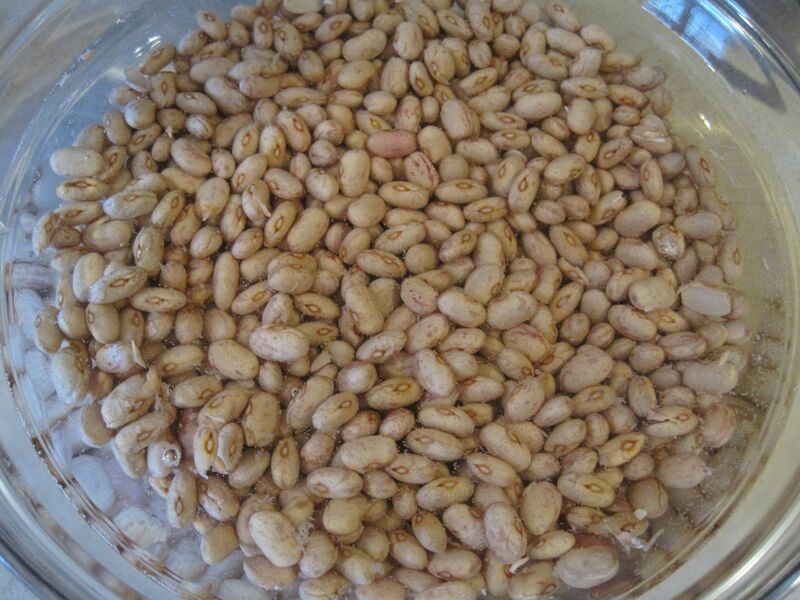 Cooking dried beans is so economical and healthy, plus you can freeze beans for future recipes. 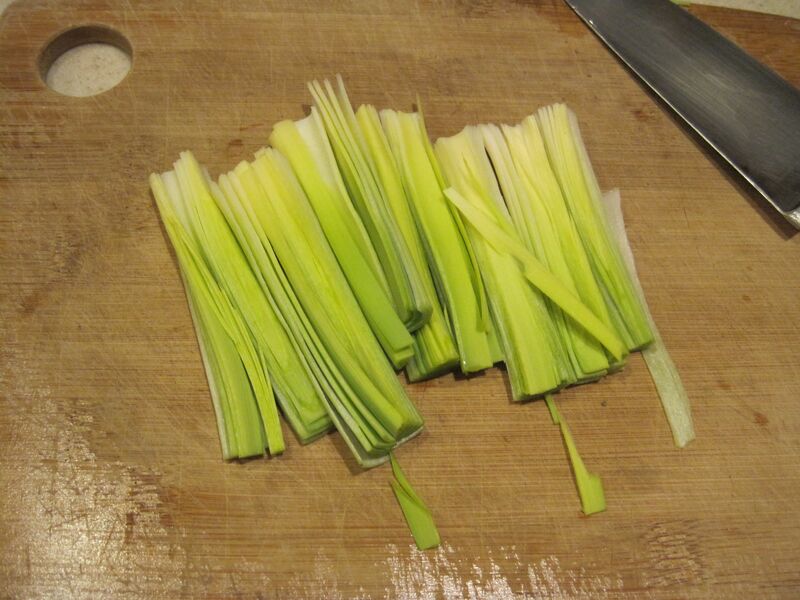 This is a great do-ahead; cook them any time during the week, refrigerate some for tonight, and freeze the rest. They also make tasty, quick burritos: take a flour tortilla, scatter beans down the center, sprinkle on some cheese, add some cilantro, roll it up and turn it seam-side down, then nuke it in the microwave for a minute or two, until the cheese melts. Add some salsa and presto, instant lunch! 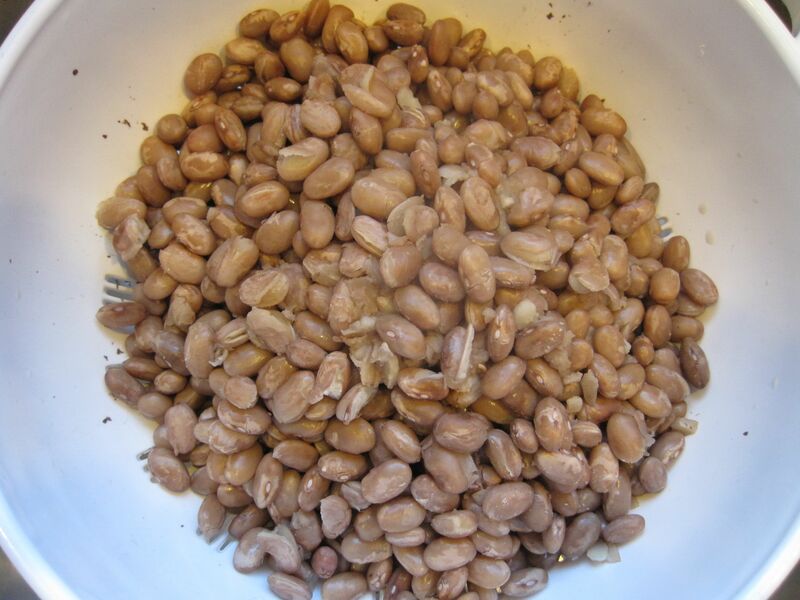 To cook dried beans, soak the beans overnight (at room temperature) in a large bowl filled with water, enough to cover the beans by a couple inches. 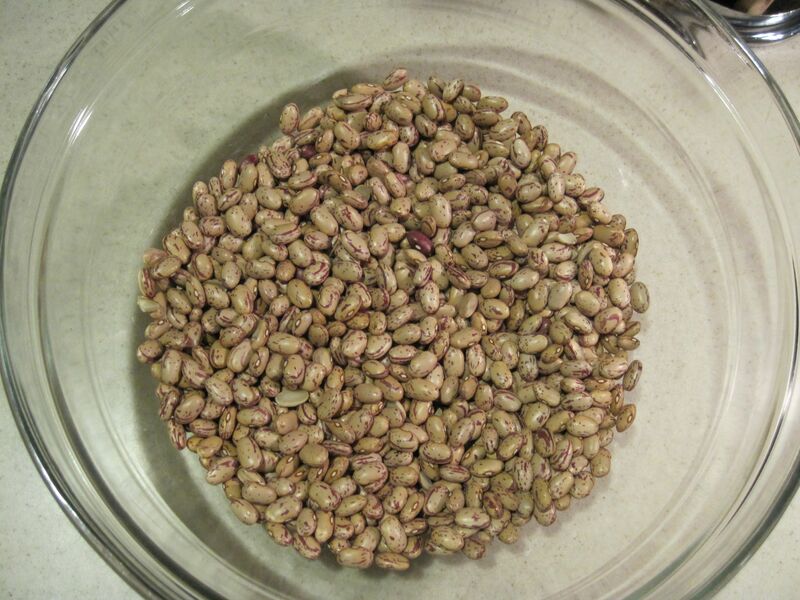 Drain and rinse the beans, then put them in pot, cover them with water by an inch or two, bring to a boil, then lower the heat to simmer and cook them for an hour, or until tender. Drain. Reserve 4 cups beans for the soup, and freeze the rest for another meal. Heat the olive oil in a large pot over medium-high heat. 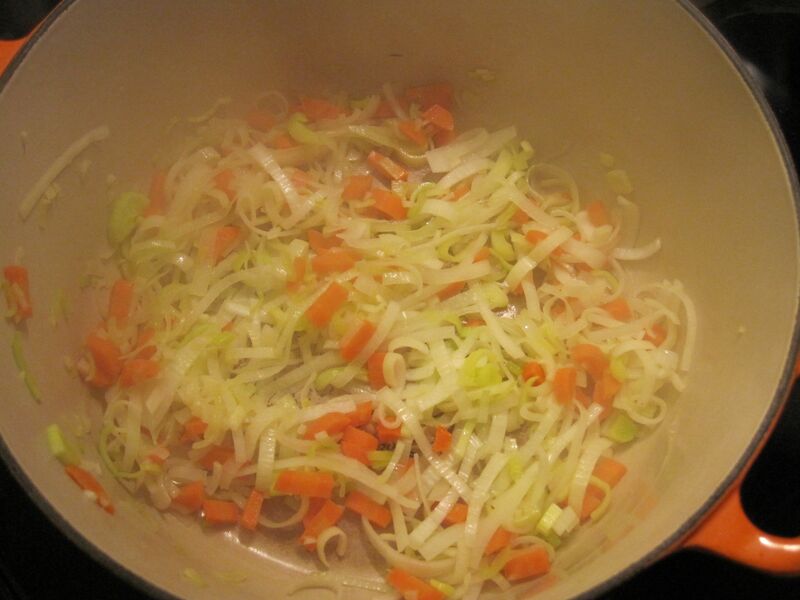 Add the leeks, carrots and garlic; cook, stirring occasionally, for 5 minutes or until the leeks are tender. 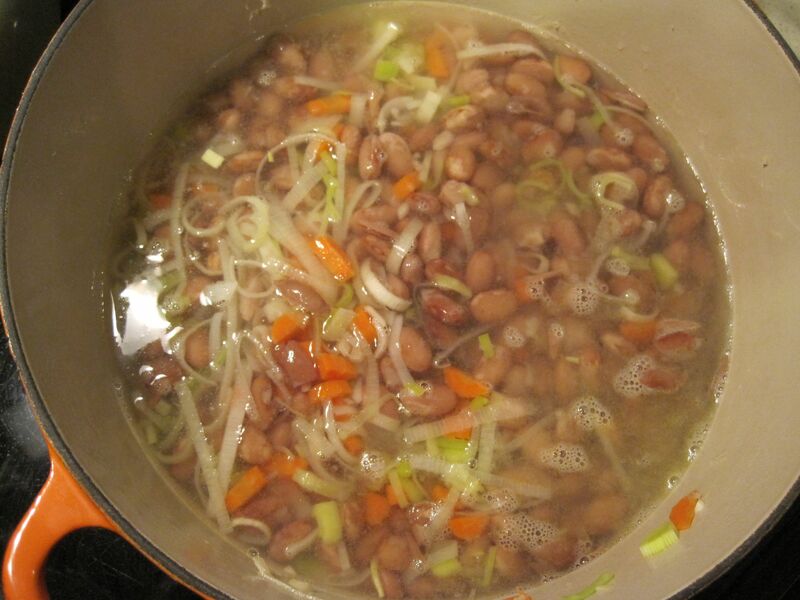 Add the water and beans; bring to a boil, cover and reduce heat to simmer, and cook for 10 minutes. 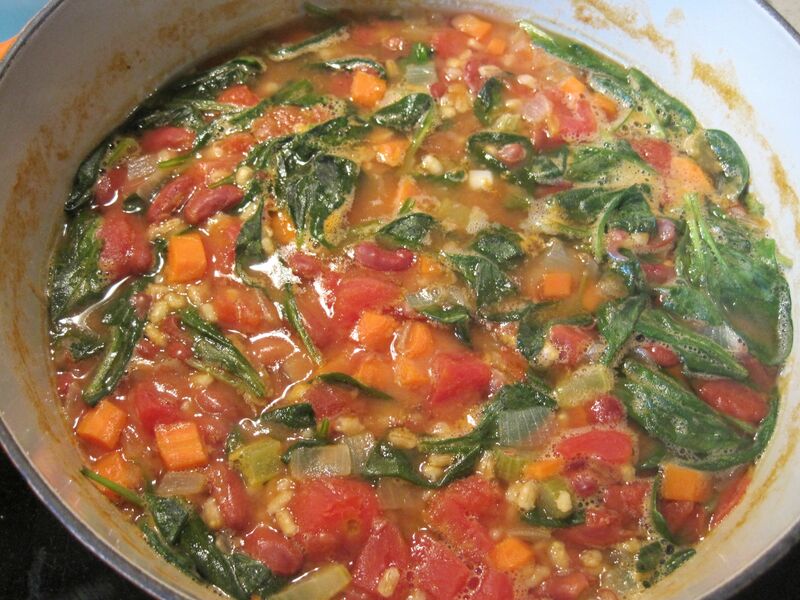 Add zucchini, squash, tomatoes, and salt, and simmer for 10 minutes. 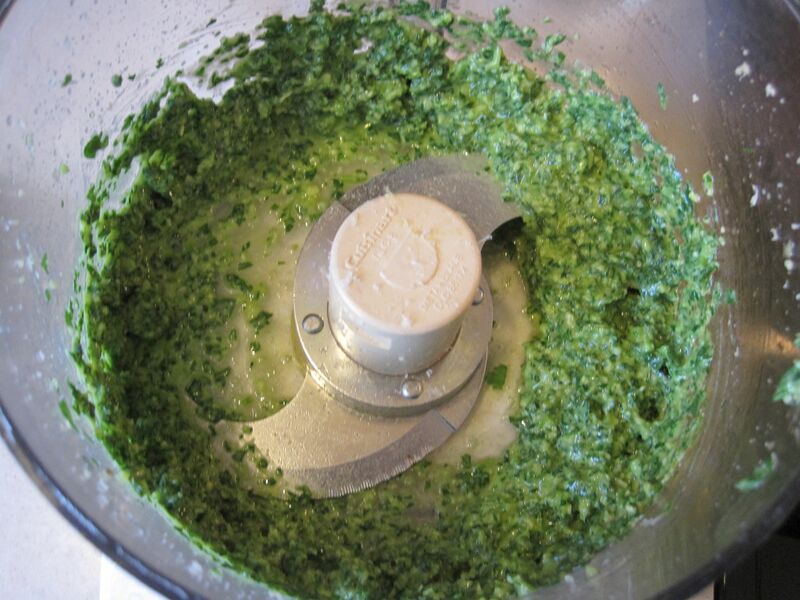 While the soup is cooking, make the pesto. 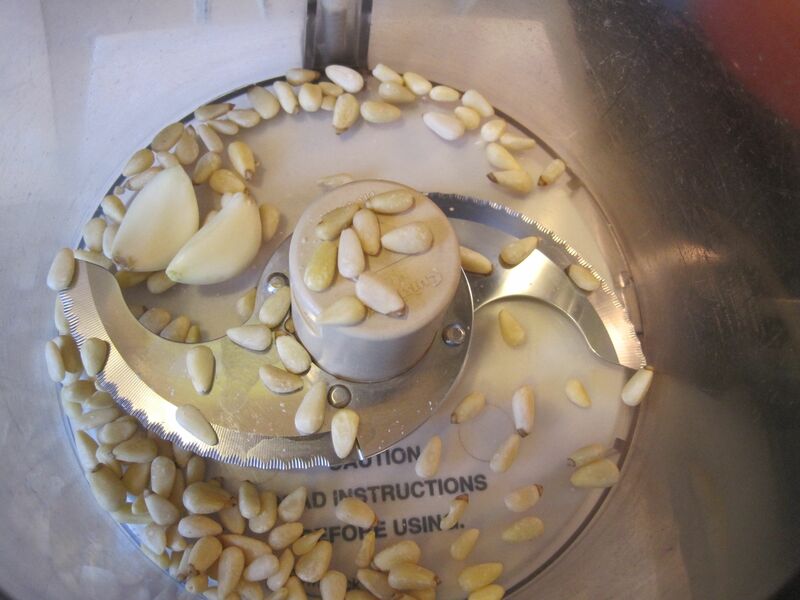 Use a food processor to finely chop the pine nuts and garlic. 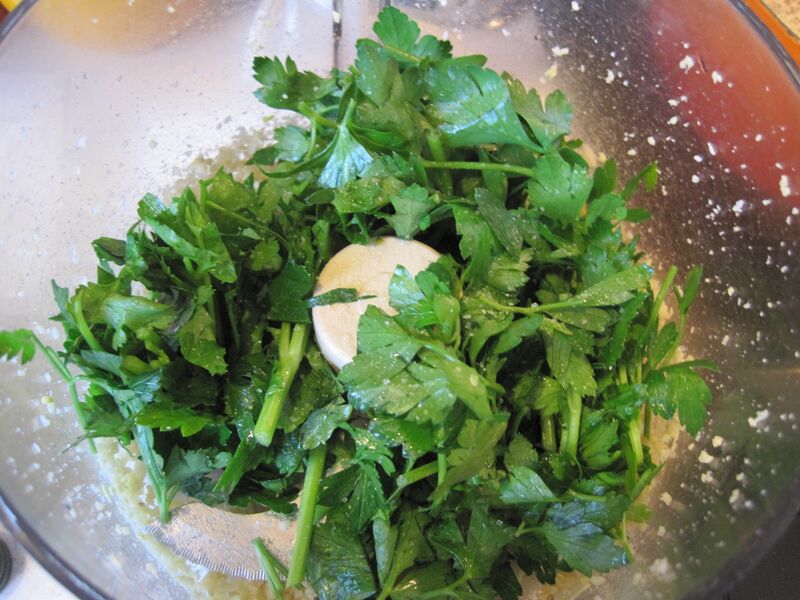 Add the parsley and salt and process, stopping to scrape down the sides, until finely chopped. 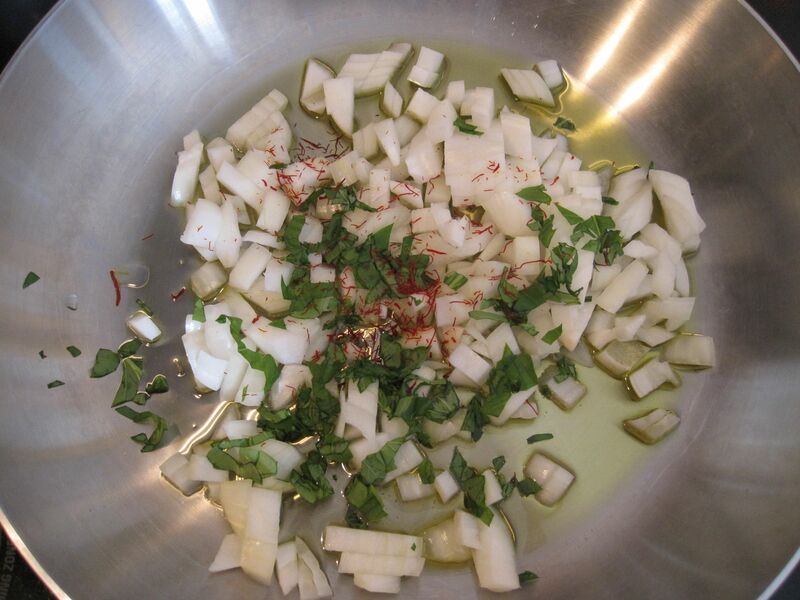 Add Parmesan and oil and process, stopping to scrape down the sides, until the pesto is finely chopped. 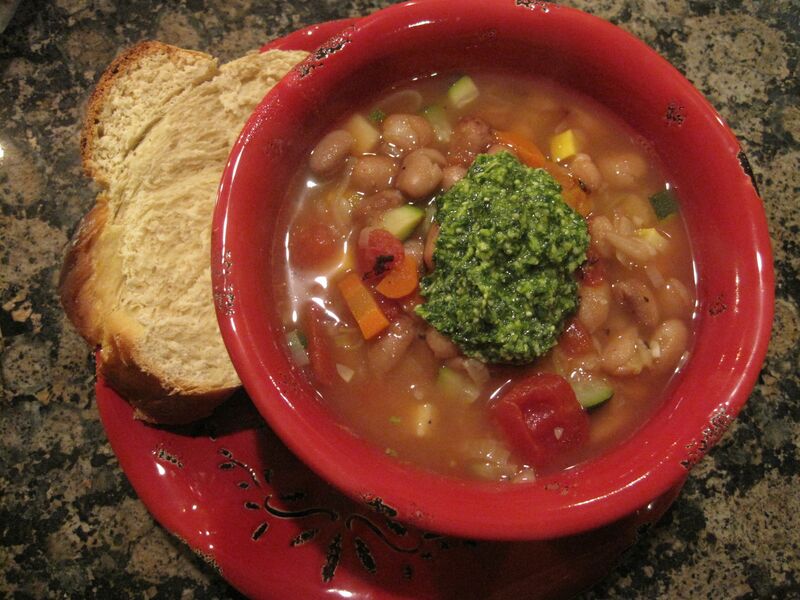 Serve the soup with a good-sized dollop of pesto. 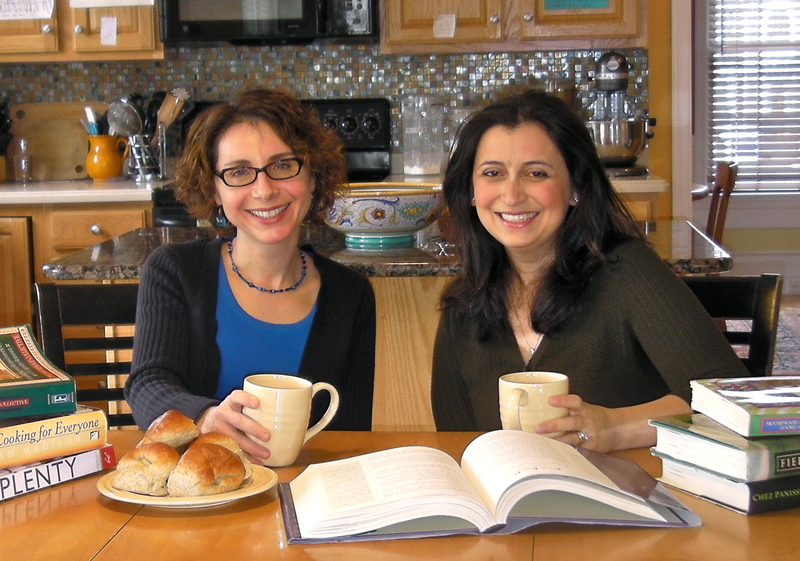 Serve with Challah or your favorite bread. Serves 3 – 4 adults, depending on appetite. Bring a large pot of salted water to a boil; cook penne until al dente according to package directions. 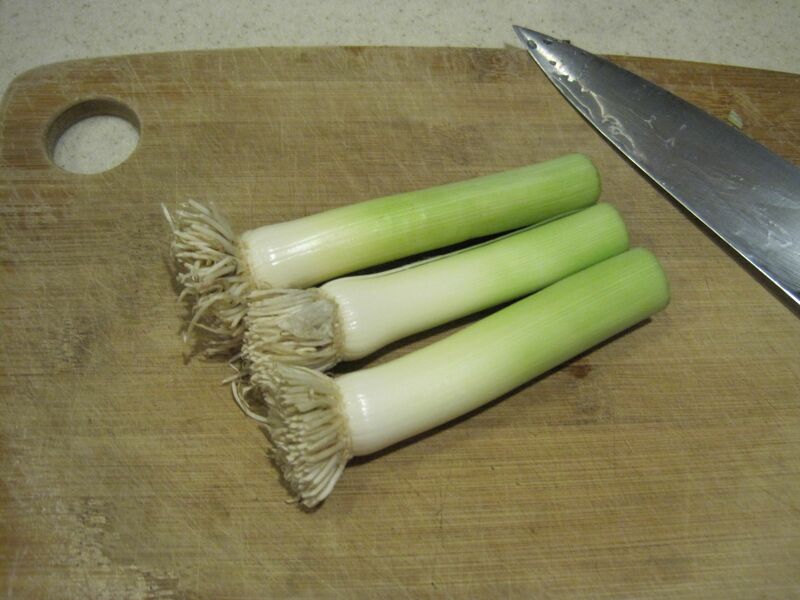 Meanwhile, heat 2 TBS in a large saucepan over medium-low heat and saute the leeks for about 5 minutes. 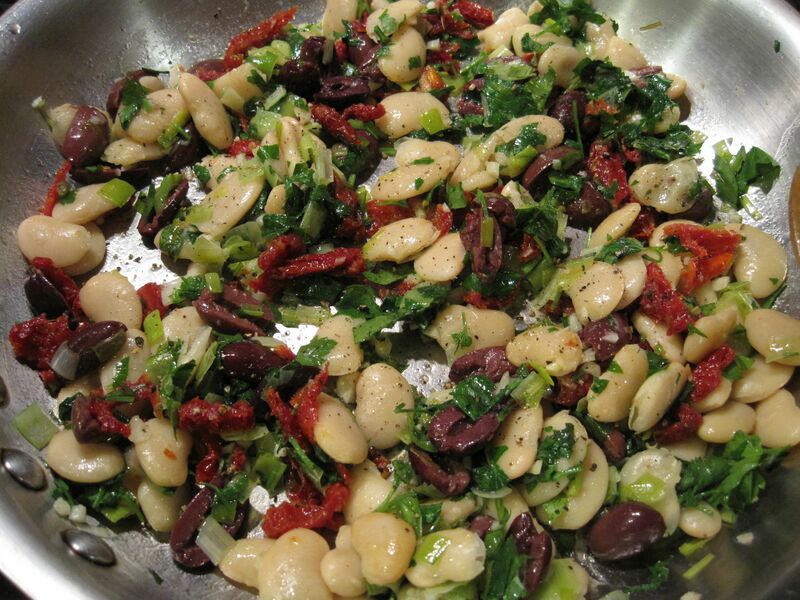 Add the garlic; when fragrant, add the beans, olives, tomatoes, parsley, and black pepper. 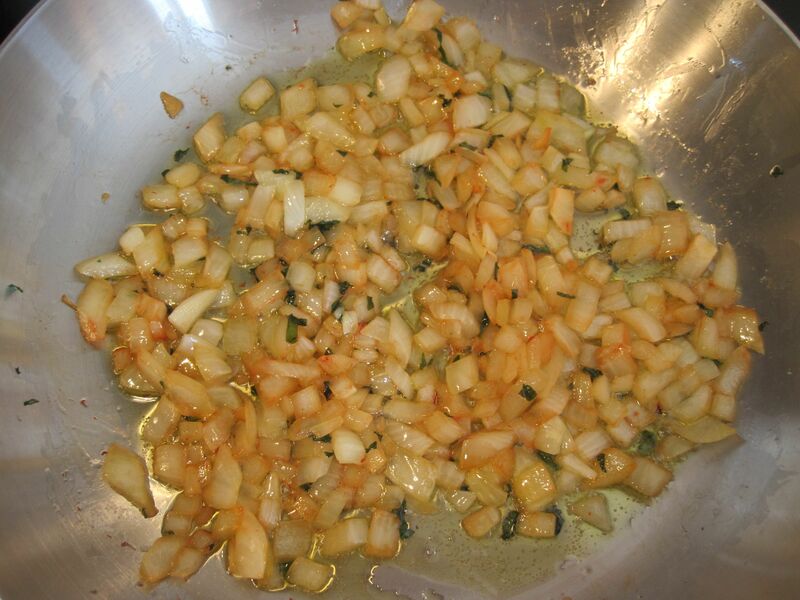 Saute for a few minutes while the pasta finishes cooking. Reserve a little cooking water before draining the pasta. Put the pasta back into the pot along with the bean mixture, 2 TBS olive oil and a little pasta cooking water to moisten. 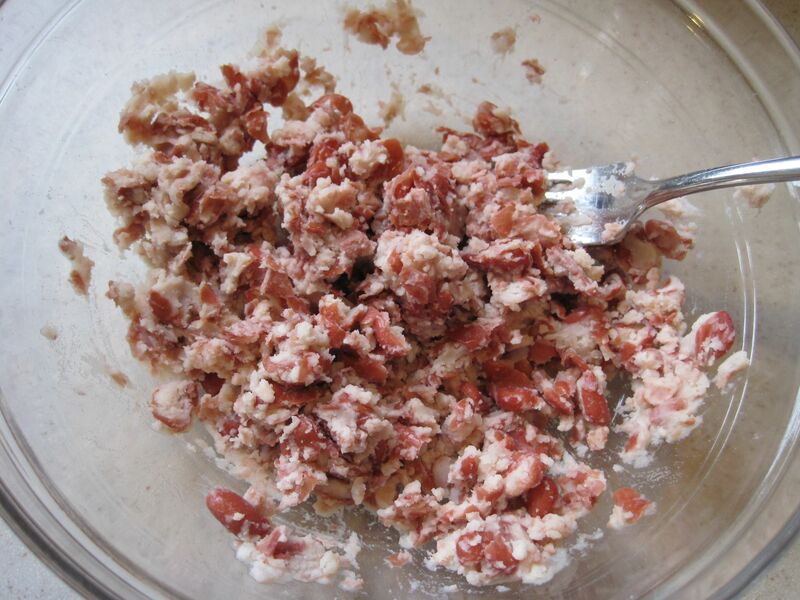 Add the crumbled cheese, tossing to combine. 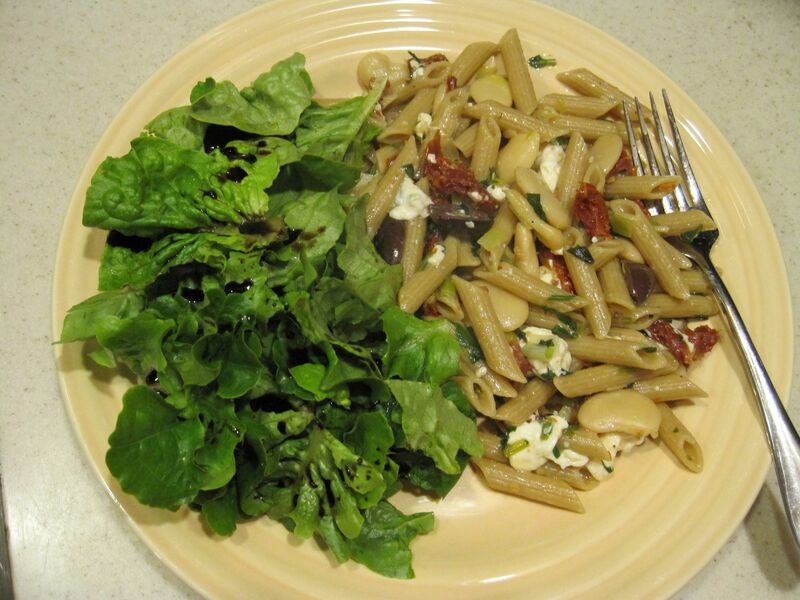 Serve with a simple green salad dressed with good balsamic vinegar. 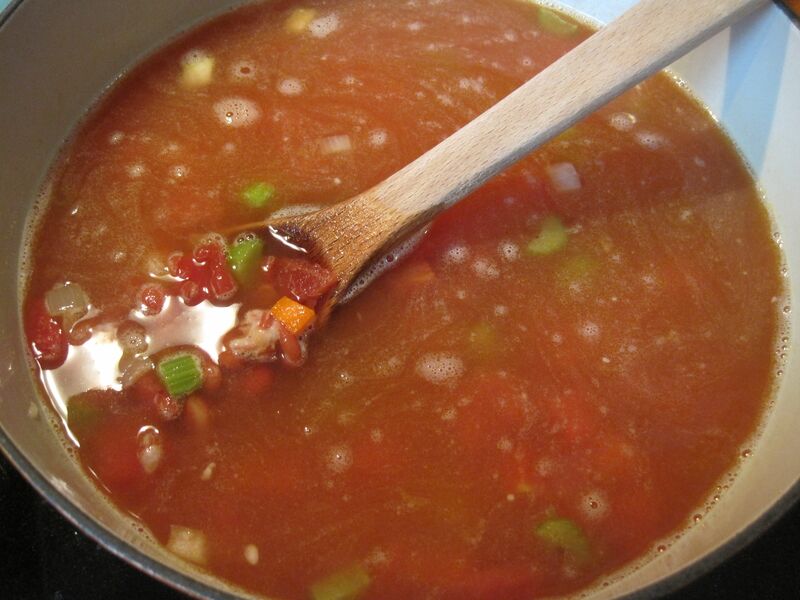 The soup is my adaptation of an old either Cooking Light or Eating Well recipe, can’t remember which, but it’s great, and freezes well, too, so if you’ve got a big enough pot, make a double batch and freeze half for another day. 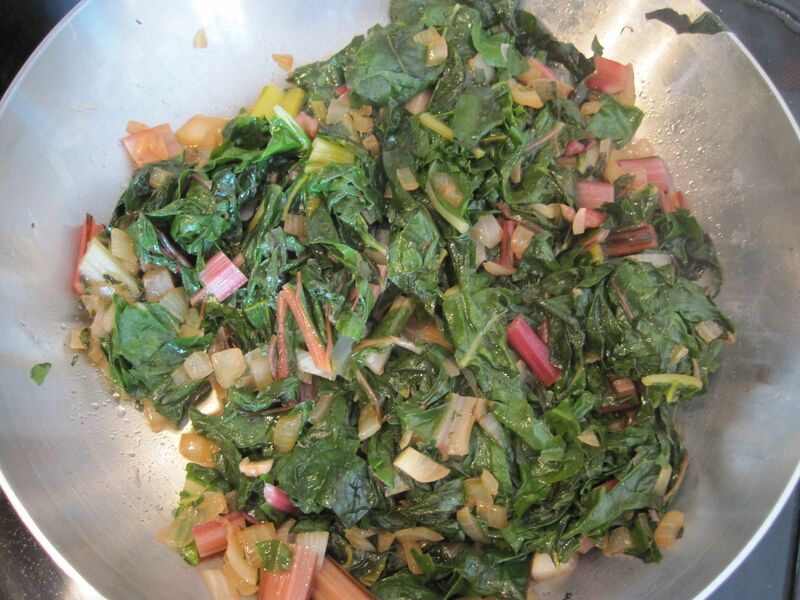 This dinner serves 4 – 6, depending on the size of the people and their appetites. 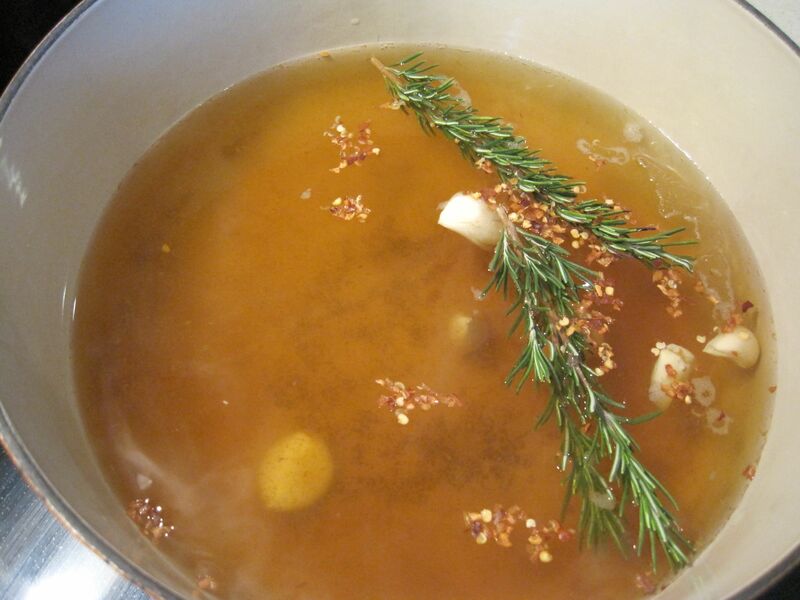 In a large stockpot combine the broth, red pepper, garlic and rosemary, and bring to a boil. 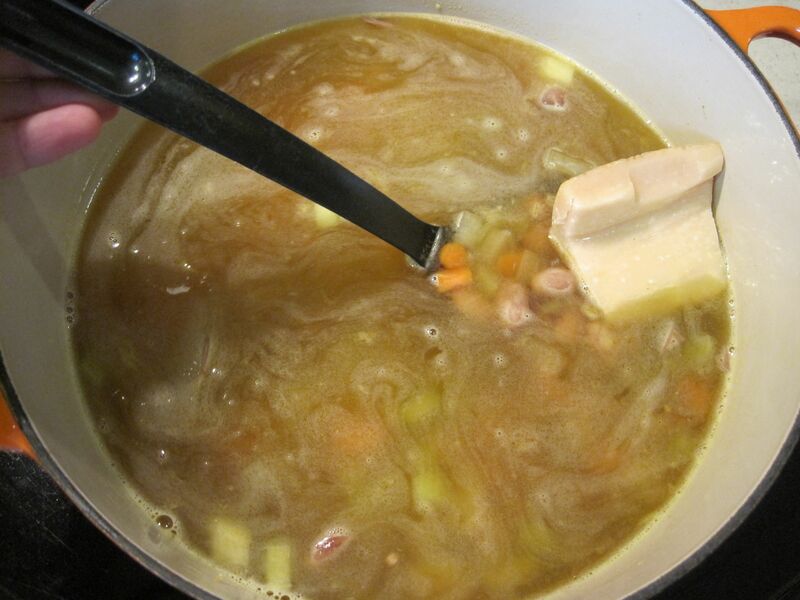 Reduce heat to medium-low and let the broth simmer for about 15 minutes. 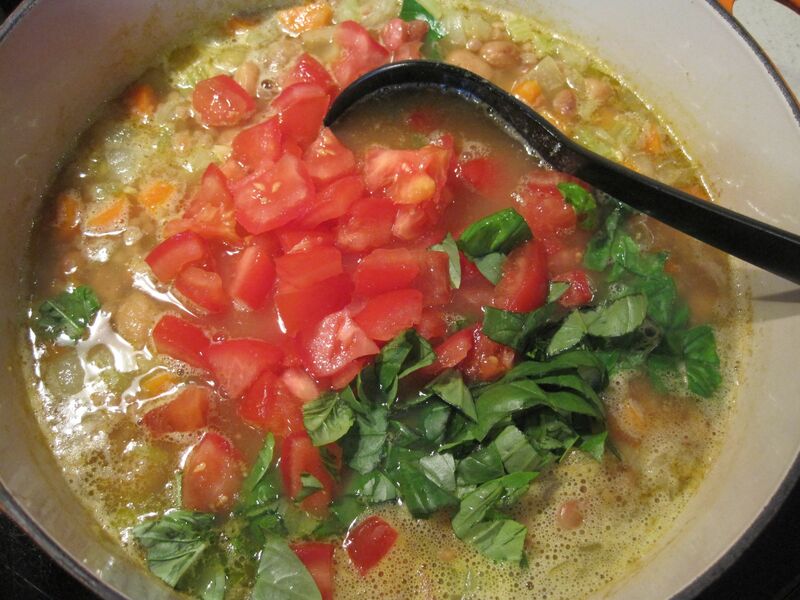 While the broth is simmering, take 1 cup of the beans and mash them in a small bowl, using a fork. 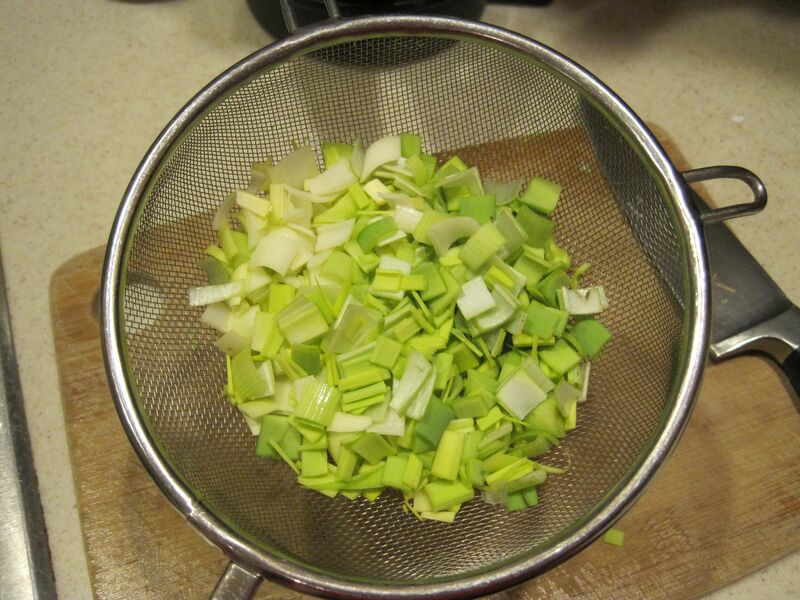 Strain the broth through a fine-meshed sieve into a large bowl or another pot and set aside. Heat the olive oil in the original stockpot over medium heat. 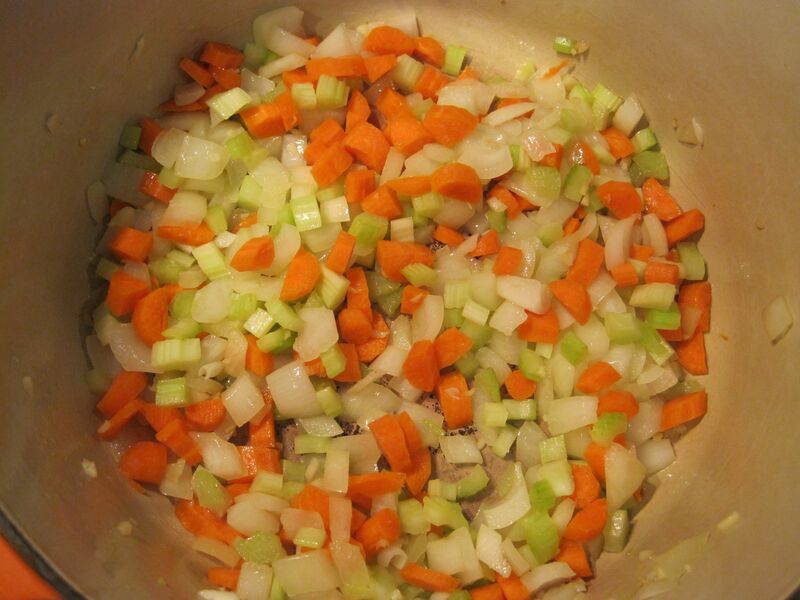 Add the onion, carrots and celery and cook for about 4 – 5 minutes, until the onion starts to turn translucent. 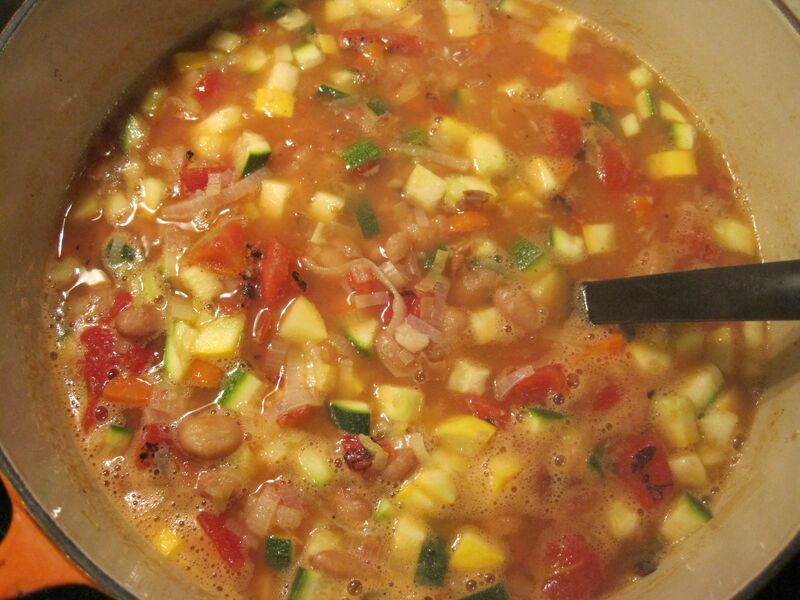 Add the broth, tomatoes and their juice, barley and the beans, both mashed and whole. 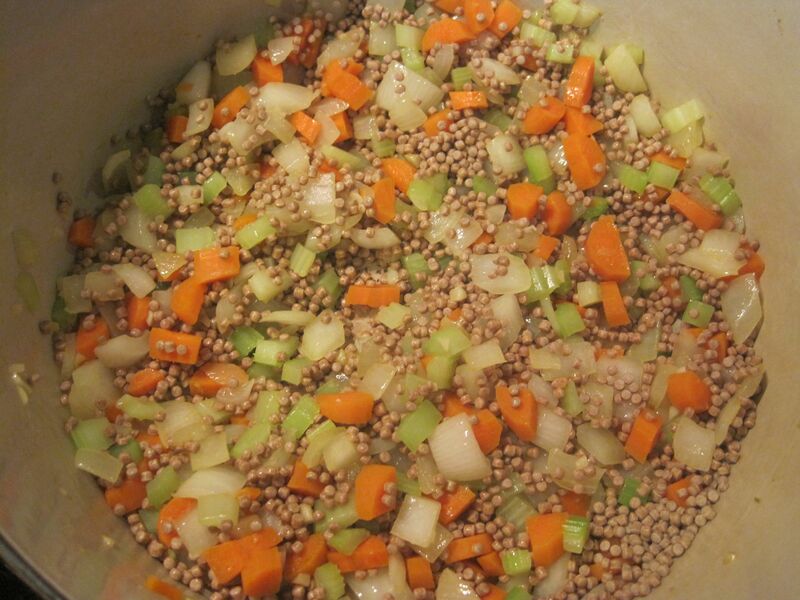 Bring everything to a boil and then reduce to medium-low, simmering for 20 – 25 minutes, until the barley is almost tender. 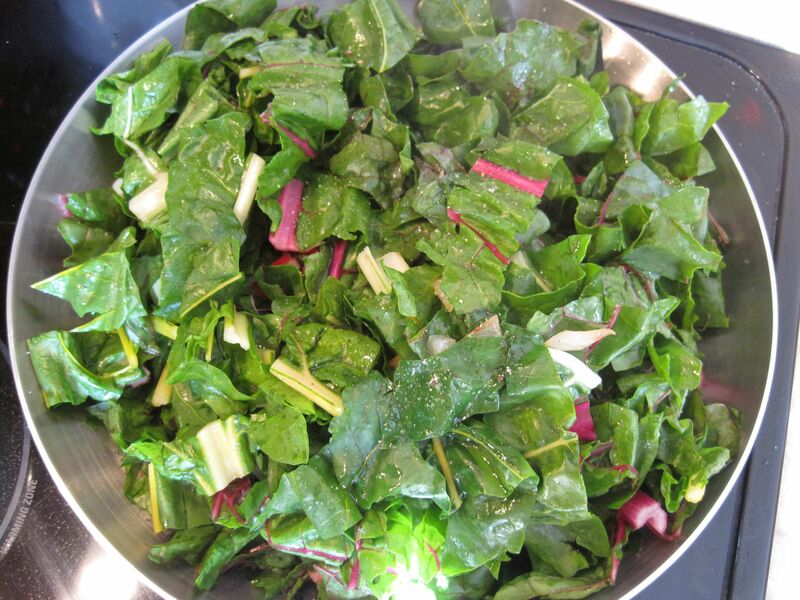 Add the spinach and black pepper to taste, and continue to cook for another 5 minutes. 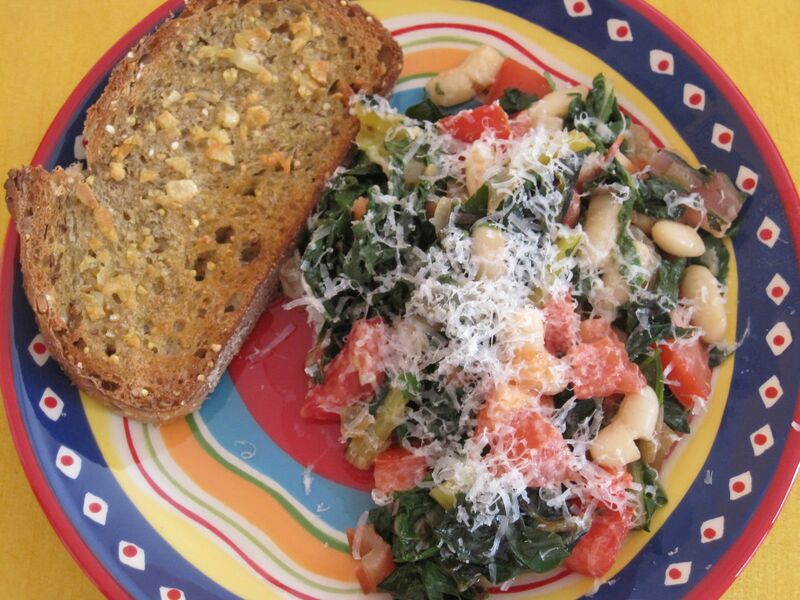 Serve with freshly grated Parmesan on top and with the Rosemary Bread.